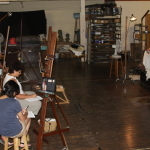 July 2011 – These are photos taken by the duCret staff from a couple of our open studio sessions. 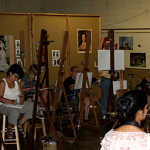 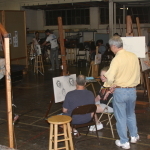 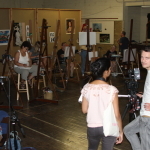 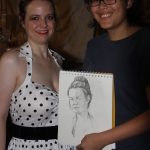 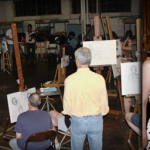 Open Studio is a weekly time where artists of any medium can show up and socialize for a small cover. 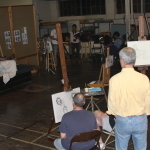 For visual artists, there’s a live model which is a great opportunity a lot of artists don’t get to have once out of school. 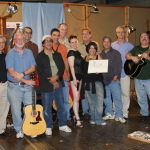 Musicians have been jamming with a typically 1960s-70s folk sound sharing their music through ipads or other such devices.